A stimulating overview of the musical's development, its major themes and the critical debates it has provoked. A stimulating overview of the musical's development, its major themes and the critical debates it has provoked. From the coming of sound to the 1960s, the musical was central to Hollywood production. Exhibiting -often in spectacular fashion - the remarkable resources of the Hollywood studios, musicals came to epitomise the very idea of 'light entertainment'. Films like Top Hat and 42nd Street, Meet Me in St. Louis and On the Town, Singin' in the Rain and Oklahoma!, West Side Story and The Sound of Music were hugely popular, yet were commonly regarded by cultural commentators as trivial and escapist. It was the 1970s before serious study of the Hollywood musical began to change critical attitudes and foster an interest in musical films produced in other cultures. Hollywood musicals have become less common, but the genre persists and both academic interest in and fond nostalgia for the musical shows no signs of abating. 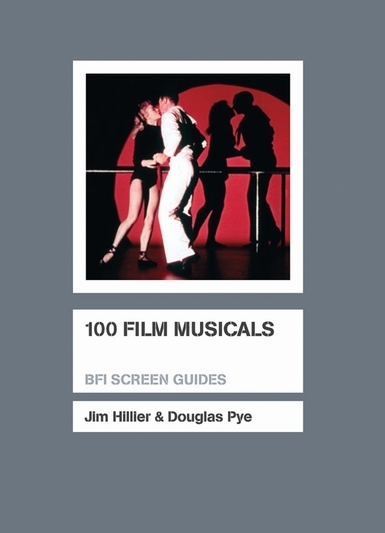 100 Film Musicals provides a stimulating overview of the genre's development, its major themes and the critical debates it has provoked. While centred on the dominant Hollywood tradition, 100 Film Musicals includes films from countries that often tried to emulate the Hollywood style, like Britain and Germany, as well as from very different cultures like India, Egypt and Japan. Jim Hillier and Douglas Pye also discuss post-1960s films from many different sources that adapt and reflect on the conventions of the genre, including recent examples such as Moulin Rouge! and High School Musical, demonstrating that the genre is still very much alive.